Early in the morning on 9/1/39 the mayor and party members came knocking at our door. They told us that war had erupted and that the horses had to be brought to City Hall in Echtz during the day in order to be chosen for the army. My father only said "Those idiots have started it after all." He meant the war. In the morning all of us children ran along to Echtz with the horses, we were on vacation after all. The horses were divided into groups of young, useful, only useful for carrying loads, and older animals. The older horses and the ones judged to be useful only to carry loads could be taken back to the stables. After a quick examination, a compensation of 1,000 to 1,100 Reichsmark, at an average, was paid. On 9/2/39 my father was called up. He had to report with his unit on 9/3/39. The soldiers of the World War 1914/1918 were all called up. They had to report at the military district headquarters in Düren. The men were deployed to the Westwall that had so far been left unoccupied. Father returned home in December 1939. Already in September 1939 soldiers were billeted in Merode; German soldiers arrived. East Prussian units, as far I can still remember medical units with horse-drawn wagons and they stayed until early 1940. Soldiers had to be accommodated in every house that had any room left. The horses were taken to the free stables and to barns. This was quite an experience for us children. The quiet Merode finally had some excitement to offer. After the first soldiers had left, in February/March 1940 new Wehrmacht units arrived, ammunition drivers and again they relied on horse-drawn transportation. Most of these soldiers were originally form Oldenburg. A changing of the troops occurred after 6-8 weeks. Again ammunition carriers arrived, soldiers from the lower Rhineland (Klewe area). When these units left on 5/10/40 (beginning of the campaign against France), the barn of the Vitzer estate near Broichgans burnt down; rumor has it that it was arson. According to later tales it seems that there must have been a soldier who always torched something when his unit left a town. We were told that this particular soldier was later convicted and shot to death in France because of arson. As mentioned above the war against France started on May 10, 1940. After a long winter summer only came in early May 1940. 5/10/40 was a nice and clear summer day; picture book blue skies. The sky was full of German planes that flew east and later returned. We had never anything like that. This was a unique and impressive event, we had been charged with energy by the German propaganda. But what song they hummed, where they dropped their freight. The elders among us, those who had lived through another war, some of them had even fought in it, found that these swarms of planes were a crime. Some German machines came back damaged. One of them crashed near the generator house in Jüngersdorf on the way back home. As far as I remember I had been hit. During the day - and this was to go on until the end of the war - the radio programs were constantly interrupted by special bulletins about successful anti-aircraft defense, air-raids,  and successful battles. Defeats were played down so well that it seemed they had been unavoidable. But the negative side was to show soon; the first fallen soldiers, who had died for Führer, Volk, and fatherland, were brought back. A great share of grief not only for the vanquished but also for the victors. Merode itself remained out of the loop of direct combat; even enemy bombs werenít dropped on it before August 1944. By the end of September 1944 American troops had already reached Schevenhütte and the first artillery shells hit Merode. A German artillery battery took position in the courtyard of the castle. It left soon after. One of those days I was out in the courtyard with, among others, Äd (Edmund Thiemonds), who later died in an air raid in Nörvenich (9/28/1944). The American artillery fired again, we threw ourselves on the ground. Shrapnel hit Äd's cap. Enemy planes now constantly attacked the men and women working in the fields during the day. The low-altitude fighter-bombers had an easy route because there was next to nothing left of the German AA defense. One could hear the front coming closer. Air raids on German towns occurred days and nights. German soldiers who came from, or went to the front had much to tell. The population grew restless. People began to build and equip shelters. They tried to make the basements appear more livable, at least for the nights. We carried old mattresses and beds into the cellar. Wide straw mattresses, meant to give extra-protection from air raids, could also be used for mattresses. The requirements for a shelter included: sand, water, crowbar and spade just in case (Fire, being buried alive). The basement of the castle was made available as a public shelter. Many citizens took up that offer and moved to the castle in the evenings (100 per night), wearing warm clothes and carrying mattresses. The entrance was at the side toward the chapel, left through the coal cellar. Inside the castle German soldiers set up an aid station. This constant artillery fire with occasional air raids kept going until 11/16/44. That day Merode suffered extremely heavy artillery fire and air raids in the morning. Severe damages, dead, and wounded people were left. In the morning, inhabitants of Merode, including my father had been forcefully recruited to work on the fields. Those who survived the attack used the first quiet moment to go back home. My father, who had taken cover together with Wilhelm Pauly from Obergeich under the bridge at Meroder Weg, came back with our ox who had a leg wound. My father said: "The whole town is burning, it has been destroyed." After noon, things had calmed down, my father and Peter Hourtz got the fire hose from Schlich in order to extinguish the fire at Johann Licht's. The barn had already burned down to its foundations. They managed to save the cow-pen. The wounded civilians and soldiers were taken to the basement of the castle. At about 4 p.m. new, heavy artillery fire set in. Among others, Josef Fußberger got killed. He had been working on his rooftop, trying to fix the holes. After 11/16/44 any trace of normal life had gone. The livestock that still existed had to be cared for, however. Milk that couldn't be drunk or processed was used to feed the pigs. Many citizens now packed their bags, only the necessities, and left. Those who stayed furnished their basements so that they could live there all day long. Only a few moved to the castle. There was still plenty of food everywhere. We had no water and electricity. If necessary and if still in stock, candles were used. Water could be fetched in the well in the courtyard of the castle or from the creeks, but this always included the danger to lose one's life (artillery, low-altitude bombers). For those who stayed in the basement of the castle, a cook of the Wehrmacht prepared soup. Shrapnel hit his kettle, located in the laundry room. To keep the soup from spilling out of the holes, the leaks were held shut with rags as long as the cook distributed the food. This was also the place from where the troops at the front were getting their food rations. Food carriers hurled the rations back to the front in mess kits. They came back, carrying wounded or dead soldiers. 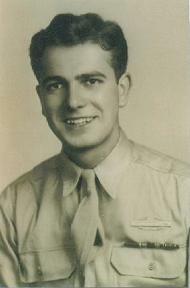 On 11/17/44 a German officer, standing on a bridge with an MG shot down two American planes. One of them crashed into the Schieren barn, which immediately set ablaze. Subsequently, enemy planes shelled the castle. Was there a connection? From 11/20/44 American soldiers held the Tannenkopf. We got all our information from German soldiers. It was impossible to cook. The smoke of the fire could have been seen from afar and would have triggered off artillery fire. They must have thought that there were soldiers wherever smoke could be seen! German soldiers kept coming to our basement. Their tales, e.g. how deep in the woods they had been deployed, allowed us to draw conclusions as to where exactly the front-line was running. I remember one of these soldiers well; he was a theology student from Vienna. He always participated in reconnaissance missions and then described the part of the forest they had searched so well that we locals knew exactly how things stood. The Americans had to be in Merode soon and this would end the war for us. But the days went by and nothing changed. On 11/26/44 a paratrooper unit arrived, all of them very young soldiers. They were supposed to push back the Americans. We realized how freely the soldiers moved around town, most likely because it had been quiet for a while. Or was it their inexperience? Such a life had high demands. At some point everyone breaks. What should we civilians do, stay, leave? This question became ever more urgent. A group of soldiers led by an officer came to our house and gave us the advice to leave. But how should that be done? Adults and children can walk, but how are toddlers and the elderly going to leave? In our basement there were four persons older than 80 and one to two-year old toddlers from the Gouwkens' house. My father asked the officer if there wasn't any vehicle of the Wehrmacht that could rescued the elderly. The officer answered that his last vehicle had been destroyed in Elsdorf by low-altitude bombers the day before. My father then remarked that the army could push the enemy troops back by  about two kilometers so that we could run for it in wagons drawn by horses. With trifling irony in his voice, the officer promised five to six kilometers at least. After a long discussion he finally said: "Good heavens, stay! In a few days the whole nightmare will be over." The officer and his soldiers left. They hadn't even reached the park when a shell exploded in our yard. The wagon standing there was damaged. It was very important for our escape plans; thus we fixed it right away as much as possible. At about 10 a.m. the German soldiers moved uphill toward the forest. Nothing happened. The Americans allowed them to reach the Erbsweg. Then low-altitude bombers arrived and heavy artillery fire set in. This lasted until almost 3 p.m. Two grenades hit our barn. We had never experienced such a barrage. I remember how a soldier came running behind our house and made a somersault through the window in the hallway. After the retreat into the town the soldiers remained inside the houses at first and then disappeared in the evening. In a more quiet moment, my father walked down into town to find out what was going on. He came back with the news that soldiers were behind the tank barrier at house Johnen, which had been built in September. The next morning, 11/27/44, soldiers moved around town again. But the situation had come to a head and thus we couldnít stay any longer and we had to find a way to leave our home, to be evacuated. In the evening of 11/28/44 the time had come. It was dark already; we put the bare necessities on the wagon and withdrew. 23 people (14 adults, 9 children) left their homes. It wasn't easy to leave. The livestock was driven out of the stables and left to its fate. The roads were very difficult to travel, by wagon or foot. There were shell holes everywhere and the heavy rains had caused mud. When we drove out of Merode my grandmother saw the destroyed town: "I'll never want to come back. I don't want to see it again." We could see from the Meroder Weg that fierce artillery fighting was going on at the Golderg in the forest between Merode and Jüngersdorf. We saw the muzzle-flashes of MGs and carbines. We drove past the Rothaus and reached Geich. Heavy shelling set in. Afterwards we drove on to Echtz, Hoven, Birkersdorf, and all the way to Merzenich. We reached a farm at around midnight and spent the night there. The next day we went on to Golzheim, to the Zilken farm. At first they gave us a hot meal and something to drink. Then we could even do something for our body hygiene. This hadn't been really possible in such a form for a long time. The next day we made it to Groß-Königsdorf. An aunt, a nun, gave us shelter for the night. The older people didn't have to move on, they were accommodated there. Our escape went on through Cologne to Wahn. Acquaintances of Hermann Wamig and Gouwkens took us in. Here the bureaucrats registered us and that was how the stream of refugees was directed. After a few days the families Wamig and Gouwkens were sent to Rupprichteroth at the Sieg and my own family was sent to Irlenborn near Eitorf. The families who received us had to provide quarters for refugees. Hermann Wamig had taken a foal from Schmitz-Schunken and actually returned it after coming back from the evacuation in 1945. The return happened on 5/3/45. My father was called up again for the Wehrmacht in 1945. In March 1945 he was captured by the Americans in Flerzheim near Meckenheim. He was released on 6/29/45.